Knit a colourful hat with a pom-pom, a scarf with a fringe or a handbag and use the crochet flowers to accessorise them all! 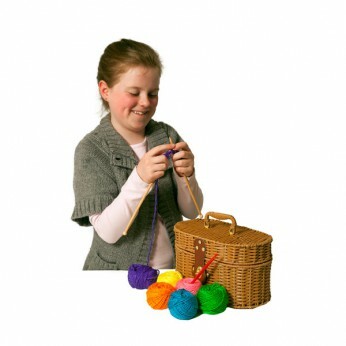 Includes 300 yards of yarn in 6 bright colours, 2 knitting needles, a crochet hook and instructions…. This toy costs approximately £12.99 (for the latest and best prices make sure you check our retailer list for the Yarn Craft above). In our review of Yarn Craft we classed it as being suitable for ages 6 years, 7 years, 8 years but recommend you check the manufacturer specific advice before purchasing.